Did you know that more than half of the most commonly prescribed medications have "dry mouth" as a side effect? People with dry mouth have challenges chewing food and speaking as optimal saliva flow supports good digestion and is a natural lubricant for the tongue and cheeks for excellent speech. Periosciences has a great antioxidant gel to support healthy oral tissues for people suffering from dry mouth. 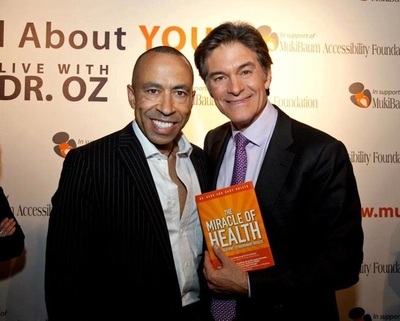 Wellness expert on the Humble and Fred Show on SiriusXM radio 168 on Canada Laughs. 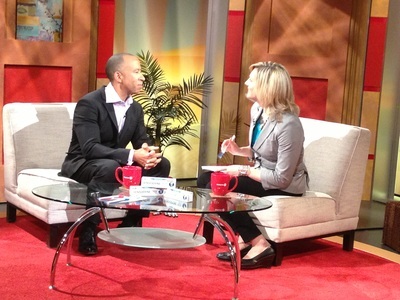 Dr Uche on the Fanny Kiefer Show discussing simple strategies to enjoying active living. The Progressive Dentist Magazine is an insightful journal specific for the modern health care provider. Publisher Bonnie Hixson does a wonderful job. "Self care is self respect"
Making an ergonomic video for health care professionals. We shot the video over two days in beautiful Northern Alberta. The professional team put together an amazing end result designed to engage, educate and inspire the viewer into new daily disciplined habits.